Dr. Natalia Novosedlik is one of a group of doctors seeking what's called "conscience protection" in the province's assisted dying law, meaning physicians who oppose euthanasia or physician-assisted suicide would not have to refer patients to a doctor who does not have such objections, as is the case now. The group, Coalition for HealthCARE and Conscience, has started an email campaign to urge MPPs to amend Bill 84, the Medical Assistance in Dying (MAID) Statute Law Amendment Act, to include conscience protection "for doctors and health care providers who conscientiously object to taking part in MAID." 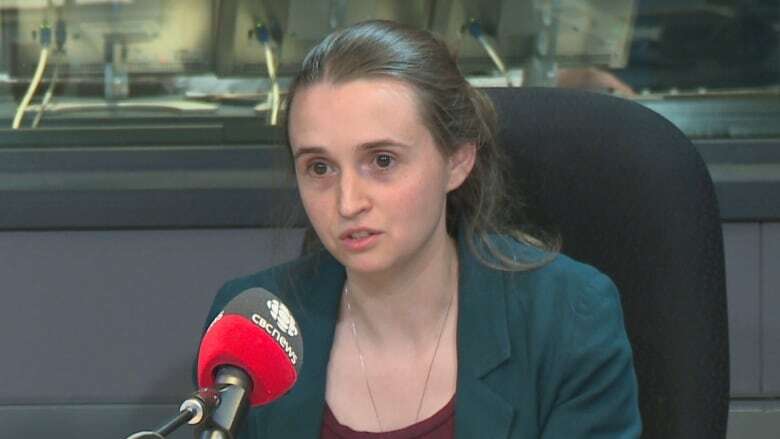 On Tuesday, Novosedlik told CBC Radio One's Metro Morning about the root of her objections, and why she feels conscience protection is necessary. The interview has been edited for clarity and length. Matt Galloway: Why shouldn't you have to provide a referral to patients who want a medically assisted death? Dr. Natalia Novosedlik: I think that that question really gets at the heart of the physician-patient relationship, and that's a really unique and complex relationship. I think for that really to be honoured properly, it certainly is important that the patient have autonomy, but I also think it's important that the physician is able to feel like they are acting in the best interest of the patient at all times. And sometimes that's not the same as what the patient feels they want, or what the patient feels is in their best interest. But part of a physician's role is to formulate an opinion to the best of their ability about what that patient's best interests are. And for somebody like me, the way I understand my role as a physician is somebody who heals, who supports, who accompanies patients right up until their dying breath. And I see myself as really doing that at the service of the sanctity of life. And so it becomes really difficult to reconcile the idea of ending a life with that core held belief about why I practice medicine. And henceforth, it's hard for me to think in any way that ending a life would be in the patient's best interest. NN: It's multi-factorial. I'm a person with all different experiences and I am a person of faith, I'll be honest about that, and certainly that plays into it. But there is an interplay between my faith and my personal and my professional experiences and one of the things that I've really learned from palliative care is just how interdependent all of us are, and how unpredictable the dying process is and how people can change their mind. And how, I just feel that by ending a life prematurely, the chapters of that life have yet to been written and nobody really knows what they're going to say and I do feel it's out of my authority to play a part in deciding when that happens. It's multiple things that really make me who I am as a physician. MG: You're looking for, and this is part of the Coalition for HealthCARE and Conscience, conscience protection. What does that mean? NN: That means legal protection that says physicians do not have to provide euthanasia or assisted suicide, and that exists. There's certainly wording in Bill C-14 [the federal legislation that makes physician-assisted suicide legal in Canada] which would suggest that no one should be compelled to do this act. But also that they don't have to participate in the form of a referral. That's what conscience protection would mean. MG: So you might be asked, but you can say, 'No I don't want to participate in this act.' But providing a referral – what is the opposition to providing a referral? NN: I feel that providing a referral is participating. By providing a referral I'm opening a door through which the patient may or may not choose but certainly may go down a path that will lead to someone ending their life, and I'm the person opening that door. I do see that as a direct participation. And I don't think that's a totally new idea. I recall before this was legalized there were patients who would sometimes request referrals to the program in Switzerland that does physician-assisted suicide for people internationally, it's the only program in the world that does that. And I remember the advice that I was given at the time was that if you did make a referral that could potentially be abetting a suicide. So this idea that facilitating something that somebody or that a society holds to be morally wrong, is of itself morally wrong, that idea's not new. I recognize that in this situation there's certainly wide debate over what's right and what's wrong. That's false, because in many cases it's just people asking questions. Just because you ask a question it doesn't mean you're going to have an assisted death. But we also have to reconcile rights, and we have to make sure that the most vulnerable amongst us are able to access the services that they need. MG: Do you feel like you're preventing the most vulnerable among us from accessing the services that they need? NN: Not if there's an alternative way of them accessing that. That's been done in multiple jurisdictions around the world and other places in Canada. Really everywhere else in the world that medically assisted dying is legal there is not a requirement for an effective referral, and there is in some other places legal conscience protections. MG: But there is here, and the College of Physicians and Surgeons has said that you as a doctor need to provide patients a referral to other doctors if you don't support their wish. What gives you the right to go against what the College is saying? NN: Two things: One, I think I would go back to the idea that I feel my obligation as a physician is to act in my best understanding of the patient's best interest and I think that if I can't uphold that, it really threatens the integrity of the relationship. And two, one of the reasons that I feel that way is that I have had the experience of making a referral, I did make a referral for this, and I did it knowing that it was against my conscience, and I went against my conscience and I found that to be a really internally divisive experience. NN: So what I'm suggesting is there's maybe a better way to approach patient access that does not mean that I'm obstructing a patient from getting access. The patient is free to get access without me needing to make a referral. And that is a direct access model, that is what a direct access model is, and that's what is being employed in many other places. MG: One of the comments that we've received as this conversation has gone on is that the listener says that, 'The doctor needs to remember this is about the patient, it's not about the doctor.' How would you respond to that, that this isn't about you? NN: I really would understand where that person is coming from. I think that this is an incredibly difficult issue for everybody who interfaces with it. And I think everybody is trying to do the right thing. And what I would say is that as a society I think we need to find the best solution to a difficult problem that really respects everybody's ability to do the right thing according to the way that they understand it, because I do think that there is an acknowledgement that there isn't a consensus on the right thing. And I would just also say that on a very personal level that going forward in a system where there's this requirement for effective referral I think that will be very difficult to sustain. I personally feel fear when I go to work. NN: Yeah. Around the idea of being asked to participate in this again. I do think there's an acknowledgement that there isn't a consensus on the right thing. And I'd say on a very personal level, going forward in a system with an effective referral requirement will be difficult. MG: How would you want the College of Physicians and Surgeons to handle this issue? Because right now, they've said you need to provide the referral. NN: I would really want them to look at what's being done in other places. Alberta is a place that's been talked about a lot where there is not a requirement for effective referral with their College, where there is a direct-access model that is widely available and easy to access for patients. I would want them to look at a model like that and really adopt that more completely.